Miracle drug or deal with the devil? After forty years of marriage, Jill and Don Stegman had it alltwo beautiful children, a stable relationship, fulfilling careers. 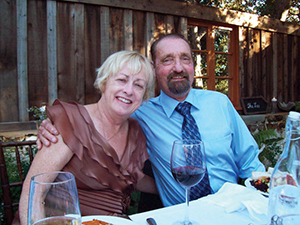 But a brush with cancer and subsequent complications upended their lives. Don survived the cancer but was saddled with a sinister sidekick that transformed this gentle Dr. Jekyll into an evil Mr. Hyde: a white pill called prednisone. What was supposed to save him instead killed himby his own hand. With 44 million prescriptions written per year, for everything from allergies to immune system disorders, prednisone is something of a miracle drug. But the side effectsmania, psychosis, depressiontook Don's life and nearly ruined Jill's. Jill has short stories published in such literary journals as Isotope, Literary Mama, North Atlantic Review, RE:AL, South Dakota Review, Del Sol, and Storyglossia. She has also been a finalist for the Glimmer Train Emerging Writer's Fiction Award and has been nominated for Best of the Net anthologies. She has an M.F.A. in fiction writing from Pacific University, Oregon. Her mentors have included Benjamin Percy, Mary Helen Stefaniak, and Kevin McIlvoy. Jill lives in California on the Central Coast, near her two adult children, where she advocates for better monitoring for patients on prednisone and rides her bikealways hearing Don cheering her on. She's currently working on a novel about the unique culture of the CaliforniaMexico border region. 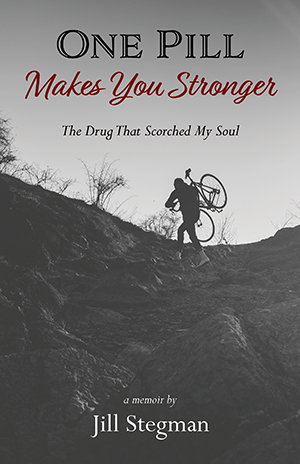 "This harrowing, honest, and enlightening book arrives in an era when consumers are waking up to the many downsides of prescription drugs. In the best tradition of creative nonfiction, Stegman expands the story of her ailing husband—beset by an impersonal medical establishment—by making her deeply personal experience emblematic of a profoundly flawed system. This riveting and unflinching memoir might literally save your life. Read it, and urge your doctor to read it, too!" "One Pill Makes You Stronger is another tragic example of what happens when the 'standard of care' takes precedent over a clinician using their powers of observation. In this case, ignoring clear and glaring symptoms cost someone their life. While 'patient-centered treatment' is an often-used term, it is rarely implemented. The well-known side effects of prednisone should have been addressed, particularly after Jill's repeated attempts to get help for Don. A must-read for clinicians and patients alike." "With raw honesty, Jill Stegman's book invites us into a suicide survivor's skin, revealing what it's like to love, to be left behind, and then to move forward, with grace and clear-eyed wisdom, in the harrowing journey of the self. It is a prayer, as she writes, 'not for forgiveness and intervention, but for perseverance.'"